In the guide we highlight the importance of the various codes of practice and guidance documents in place to support those responsible for the management of spa pools, including the Health and Safety Executives ACOP L8 and HSG282. 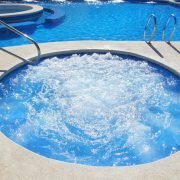 We consider why the conditions found in spas and hot tubs can lead to elevated risks for bathers, the impact of common microbial contaminants on water quality including E .coli, Pseudomonas, Coliforms, Legionella and other waterborne pathogens, the need for spa pool water testing, and what to do if problems occur. In the UK anyone who operates a spa pool or hot tub as part of a business has a legal duty under health and safety law to make sure that their pool and the water used within it is safe and does not put bathers or other people at risk. The extensive legislation and guidelines drawn up by the UK’s Health and Safety Executive also applies to companies which supply or install spa pools, and to organisations and individuals who design and manufacture these water systems. What are the rules dealing with legionella in spa pools and hot tubs? The Health and Safety Executive (HSE) are the UK’s principle safety regulator and they publish a number of codes of practice and safety guidelines covering the management and control of legionella in various water systems, including spa pools and hot tubs. The primary document in this area, which has a special legal status is their Approved Code of Practice ACOP L8 – “Legionnaires’ disease. The control of legionella bacteria in water systems”. This is supported by their HSG274 Parts 1, 2 and 3 guidance documents and more specifically HSG282 – Control of legionella and other infectious agents in spa-pool systems. The HSE guidelines are designed to give practical advice on both identifying where there might be a legionella risk, and how to then control those risks. If you own or are responsible for the maintenance of a spa pool or hot tub, run a holiday park, holiday letting property or hire out pools or hot tubs for special events, there are separate sections with specific guidelines covering your circumstances. The HSE guidelines also cover similar safety and maintenance issues with other hot and cold water systems, including cooling towers and evaporative cooling systems. How is a spa pool defined? A spa pool (or hot tub) is defined as an enclosed body of warm water which is designed for sitting in, or immersing your body in. It is not the same as a swimming pool, which is larger and typically cooler. Usually, water inside a spa pool or hot tub is heated to anything between 30°C and 40 °C. Water in spa pools is moved around by jets or air and the pool could either be indoors or outside. Spa pool water needs to be filtered, and treated with chemicals to keep it clean and safe. The water used in spas and hot tubs is not usually emptied after each use, but is cleaned and reused. In the UK the number of businesses and private individuals owning hot tubs is growing rapidly. This type of spa pool is also a regular fixture in hotels, gyms, leisure centres, holiday parks and on cruise ships. Why are spa pools considered higher risk? 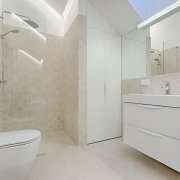 One of the main issues associated with spa pools and hot tubs is that there is a much higher ratio of bathers to water than in a typical swimming pool. As a consequence, the water in spas often contains a higher concentration of organic material and bacteria from bathers’ bodies. This issue is further exacerbated by the higher temperatures and forced aeration of the water. Legionella is a bacteria which causes the potentially fatal lung infection known as Legionnaires’ disease. A number of outbreaks of Legionnaires’ disease have been associated with spa pools in hotels, holiday properties, leisure centres and cruise ships. The legionella risks from spa pools are mainly down to the environmental conditions found in such water systems. The water used in a spa pool is typically maintained at an elevated temperature (between 30oC and 40oC) creating ideal conditions for bacteria to grow and multiply rapidly if left unchecked. The growth and proliferation of legionella bacteria can become a particular problem in spa pools which are either poorly designed or badly maintained, or both. However, it’s not just legionella which grows in the pool water, other potentially harmful bacteria can flourish too including E .coli, Pseudomonas aeruginosa and others. Another issue that can increase the risks associated with legionella and Legionnaires’ disease in spa pools is the mechanical aeration of the water caused by under water jets. These jets move water around the pool vigorously and this can cause very fine droplets of water (called an aerosol) to form and enter the air, where they can then be breathed in by bathers and other people close to the pool area. This is a particular problem with Legionella bacteria where contaminated water droplets can be inhaled and enter deep in to the lungs to cause infection. 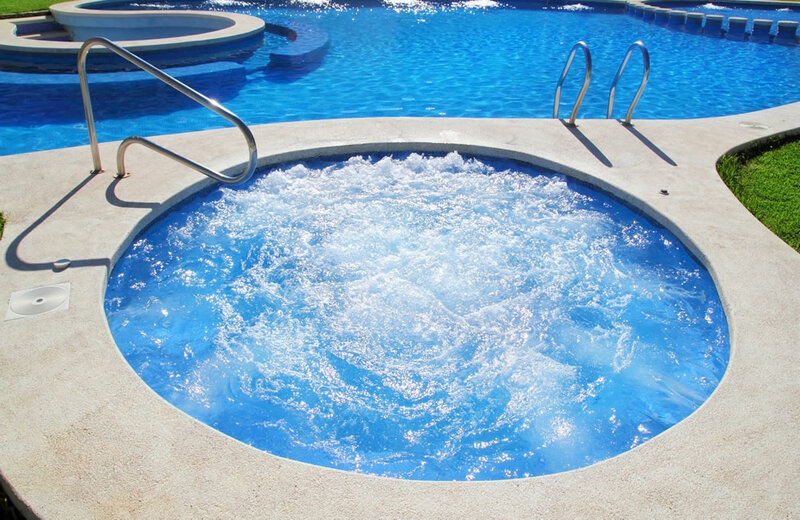 Owners and operators of spa pools and hot tubs need to manage the quality of the water in their pools carefully to make sure that any potentially dangerous bacteria are kept under control, and at levels which wouldn’t be harmful to human health. Legionnaires’ disease can affect anyone, but is usually more serious in people over the age of 45 and in people who have underlying medical conditions affecting their breathing or immune system. All swimming and spa pool waters should be kept clean, and free from any bacteria which could make people ill. On the other hand, you must also be careful to control the types and quantities of chemicals added to the pool water as part of the water treatment programme, as over dosing could also be harmful to bathers. Most microorganisms get into pool water from either the bodies of the people using the pool, or from the surrounding environment. Bodily fluids like perspiration or mucus, faeces and other contaminants like soap residue, sun creams or cosmetics can easily enter the water and increase the risk of bacterial growth significantly. If you identify E .coli while testing your hot tub water, this is a very good indication that faecal matter has entered somehow. Usually, it comes from bathers who have been using the pool. Coliforms, a similar type of bacteria, can also be found on leaves and in soil. If you identify coliforms in your pool water, these could have come from grass cuttings, leaves or other organic materials dropping into the water. Finding these bacteria in your pool is often a good indicator that whatever treatment methods you are using to keep the pool water clean and safe isn’t working properly, and further investigation and action is required to bring matters back under control. Pseudomonas aeruginosa can contaminate spa pools and can cause ear and eye infections as well as a skin condition called folliculitis when hair follicles get infected. Children are often affected more than adults. There are other types of bacteria that can contaminate spa pools, such as mycobacteria, which can cause breathing difficulties. Medical experts have also linked gastrointestinal illness and viral skin infections to the use of spa pools and hot tubs. If you own or are responsible for the maintenance of a spa pool it is very important that you take steps to prevent legionella and other bacteria growing and multiplying in the pool and water systems to keep people safe. If you are the Duty Holder or Responsible Person your starting point in this process is to carry out a detailed water safety or legionella risk assessment of your spa pool facilities to identify the potential risk to bathers, staff and others. Once the risk assessment is complete and you understand the risks your spa pool or hot tub poses a scheme of control measures must be developed. The precautionary measures included in the control scheme must then be implemented, managed and monitored with details recorded to ensure it remains effective. One important control task is to carry out routine spa pool testing to make sure the water treatment and control measures you’ve implemented continue to remain effective. How often you need to test the pool water will depend on how it is being used. A commercial spa pool which is in almost constant use will need more regular testing than a hot tub in the back garden which is being used once or twice a week. A good water testing regime will aim to identify changes in the chemistry of the water and allow you to adjust the levels of chemicals added to maintain the correct balance. It is also very important that the water should be sampled regularly and tested in the laboratory to see whether any bacteria is present. Testing water quality isn’t an optional extra. It’s a basic part of good spa pool management. You can choose to do the basic testing yourself, or get a professional company such as Water Treatment Services in to do it for you. Whatever method you choose, you should have a method to record the test results and know what to do if you identify any problems. Some of the water tests can be run at the pool, but some of the more specialist microbiological water tests will need to be sent to a laboratory for expert analysis. Before you take any samples it’s important to remember to turn off the spa pool water systems. The best time to sample the water is just after the busiest period of use. How can spa pool testing help maintain water safety? Reports from your pool water testing and monitoring can show whether you are cleaning the pool often enough, whether your disinfectant programme is effective and will identify whether your filters are working properly. Regular spa pool testing can also help identify any important trends and give advance warning when pool components are about to fail. For most pool testing, there will be an acceptable range of results and you should aim to stay within these parameters. It is also important that you note what action is being taken to rectify any issues found with the water. In addition to your regular water testing regime, you should also test before you use a spa pool for the first time, if you’ve noticed contamination, or if someone tells you that they’ve been ill after using your spa pool. If you’ve changed the way you are maintaining your pool water, then it’s sensible to run extra tests to make sure it’s working properly. If someone reports that they have been ill after using your spa pool, further testing may be needed for organisms such as Staphylococcus aureus, Cryptosporidium, Giardia and viruses. If you become aware that people are reporting illness after using your spa pool, then you need to investigate further and take any remedial actions felt necessary to prevent further illness. If you believe it is serious enough you should also flag the issue with your local Environmental Health Officer as soon as you can. This is the person whose job it is to regulate the control of legionella risk and work with Public Health specialists if needed. An outbreak is defined as two or more cases of illness which are linked to one particular pool or facility. If this happens, the Environmental Health Officer or Health Board will take more water samples from your pool for testing. They might also recommend more frequent testing be carried out. Remember to take into account the extra environmental contamination from debris and vegetation which can happen with outdoors pools. If, during the spa pool water testing, you discover evidence of “gross contamination”, then you should shut the spa pool immediately. 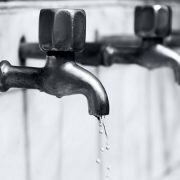 Gross contamination refers to the upper safe limits of certain bacteria in the water and can be a clear indication that serious contamination has occurred. If the spa pool testing shows a problem, but at levels lower than the “gross contamination” threshold, then you don’t necessarily need to close the pool immediately. However, it’s still an indication that there is a problem and you should take steps to remedy it as soon as possible. Then retest to see whether the water quality is has improved to within acceptable levels. Repeated failed microbial tests could show up an underlying problem with contamination in the working parts of the pool such as overflow channels or tanks. If, after investigation and repeated water testing you’re still experiencing unsatisfactory test results, you might need to close the pool to work out what is going on. Water Treatment Services offer a comprehensive range of water safety risk management, water quality testing and laboratory analysis solutions to support owners and operators of spa pools, hot tubs and swimming pools. Our experts can provide advice and support to help you identify the most appropriate strategies for the on-going management of your pool facilities.